In order for someone to stand up and be proactive, he/she has to take a risk, but unlike a gamble, the risk is calculated. We can find ourselves forced to take risks, even if we succeeded in avoiding them all our lives. Taking a risk in starting a new business, especially at an elderly age, when an entrepreneur has the responsibility to provide for his/her family, is more complex. During our time, in Israel and across the globe, we found that people aged 45+ often find themselves unable to get hired as employees, and as a result, are forced to start their own businesses. When starting a business the ability to analyze risks and assess the probability of success against the chances of failure is extremely important. In March 2016, an article in Globes was published with the headline: The Next Poor People are Ex-high Tech. The article described how people use their entire savings to start a business and are left with nothing. This article illustrates how important it is that everyone, even those who now feel safe in their workplace, learn the business development process, which includes the preparation of a business, developing the marketing plan, studying the business feasibility and assessing risk. The more a person is prepared for this stage of life when he/she is setting up a business, the better. Nowadays, sooner or later he/she may need to recalculate his/her route. Doing so, will increase one's chances of success. Often the entrepreneur will consider a mix of factors, both personal and environmental when determining the profitability of an enterprise. In one of Galit Zamler's entrepreneur classes, one of the students discussed about her grandfather, who after years working as an employee, retired, and decided to invest his savings in an electronics business. According to the student, her grandfather had to close his business after six months and lost all his savings as a result. Today, her father, who is the son of that grandfather, has to support his father financially. The student concluded that being an entrepreneur is not worth it. She came to this conclusion after seeing an entrepreneur, who she is very close to, fail. 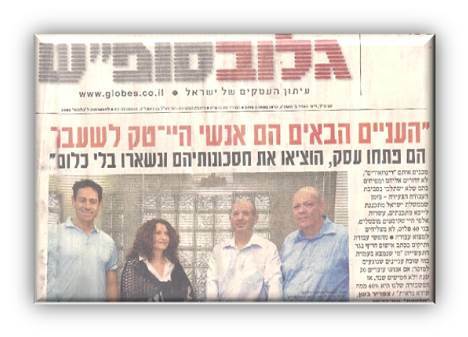 However, according to Galit, one could instead conclude that entrepreneurship is a blessing. Galit believes that entrepreneurship is a blessing because it enables people to see their full potential and feel satisfaction. It is important to note that due to it also involving risks, we must consider that the enterprise might fail. We need to be aware that most ventures fail. Once we consider that a project may fail, we take a calculated risk. 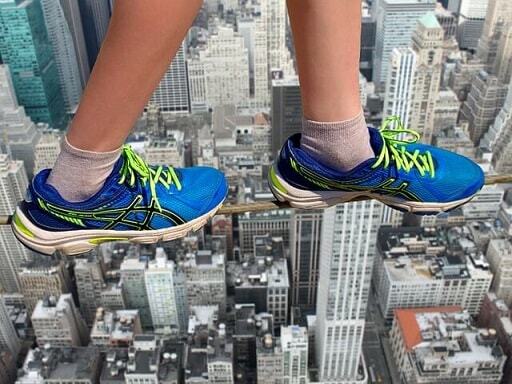 Calculated risks are risks that we can take even if we fail. While there are people willing to risk everything, and succeed in doing so, people need to keep the big picture in mind when making a decision. An entrepreneur takes a risk by simply deciding to start an enterprise. However, unlike the gamble in which one's ability to influence the outcome is zero. When an entrepreneur takes risks in setting up an enterprise, he/she calculates his/her chances to succeed or fail and choose from a discretionary to continue with his/her dream and work for its success. Throughout the entire entrepreneurial process, the entrepreneur has to make many decisions in different fields. Some of them have a significant effect on the continuation of his/her activity. An entrepreneur operates in a changing environment and sometimes he/she has to make quick decisions and while under pressure. Many times he/she does not stick to what he/she already knows. An entrepreneur is ready to change when necessary and understands that sometimes investments should be discarded in favor of better, new directions. These are often painful decisions, but entrepreneurs often know how to make such decisions. It was a difficult decision to leave a steady job. It was a decision that involved giving up a safe salary as well as high status and going back to manual labor next to the machine. This was the first step in the realization of a dream which seemed so entirely imaginary. However, that didn't deter me. In business and in life in general, taking risks is essential to success. But taking risks isn't a gamble. Taking risks is the act of choosing an uncertain decision with headlight high income over a certain decision with headlight low income. There is a key difference between taking a gamble and taking a risk. The result of a gamble is against the odds while the decision that involves taking risk goes with odds. 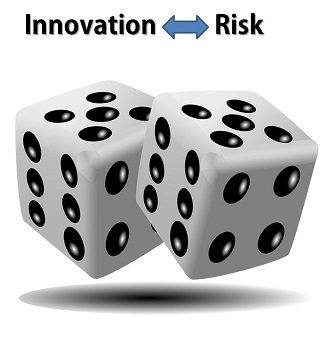 By discussing innovation, risk, and brainstorming of the Entrepreneurship for Kids Program in meetings, children learn that invention alone is not innovation and that there is a connection between innovation and risk. Children learn that innovation is not a gamble, but rather a calculated risk. The way of making decisions in different situations and different areas, changes from entrepreneur to entrepreneur and from venture to venture, but it is worthwhile for the entrepreneur to be aware of how he/she and his/her colleagues make decisions. That awareness will assist him/her to see the things from a different angle and maybe make decisions differently. 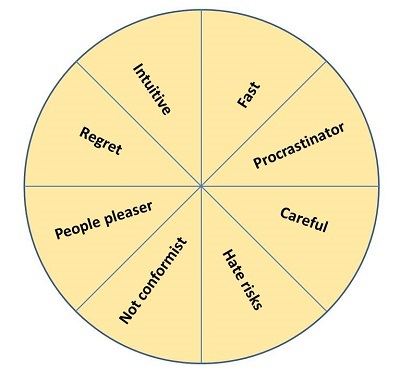 Test yourself, what kind of decision maker are you? As parents and educators we should allow children to take controlled risks, which will enable them to cope with daring, to calculate the level of risk vs. chance, to handle the feeling of risk emotionally. And to know to appreciate their capability of handling the situation. This means small risks, that don't endanger the children, but challenge them. Such risk-taking is important for building a sense of competence, for building personal resilience, for the capability of making decisions, for independent and critical thinking and for empowering children. Taking risks in that way teaches children to reevaluate their abilities every time, which will improve over time. 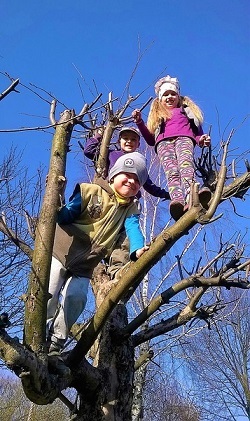 Therefore, even if there?s a certain doubt in our heart, we must allow kids to climb trees, balance above great heights, swing high, run, fall, use our work tools and etc.